Members of the Kisner family and the Hurley Fire Department Auxiliary decorated Homestead Park in Hurley over the weekend in advance of Memorial Day. 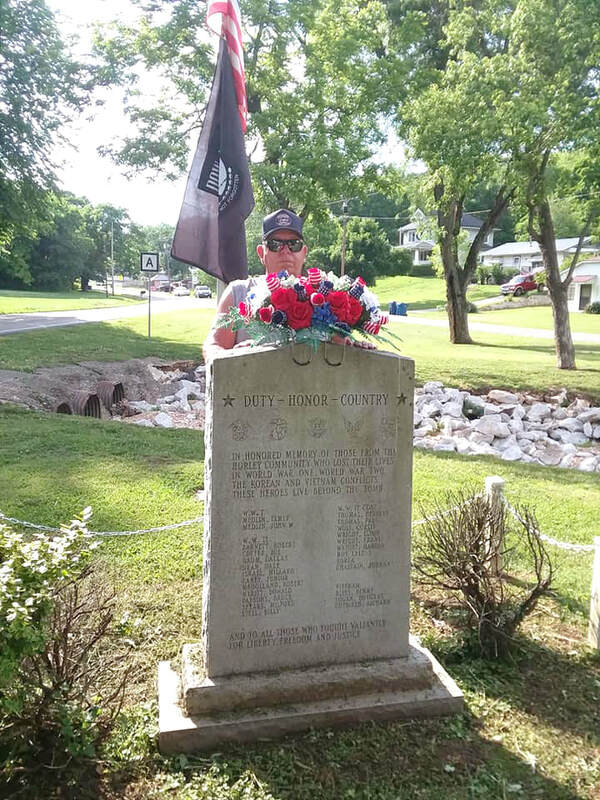 Pictured above, Mark Kisner, a Vietnam veteran, places flowers on the monument honoring soldiers in the park. Flags representing all branches of the military were also placed along A highway. There is also a special flag that was donated by Kisner’s sister, Rebecca Kisner Edwards, of Phillipi, W.V. The flag represents her husband’s unit in the Vietnam War.